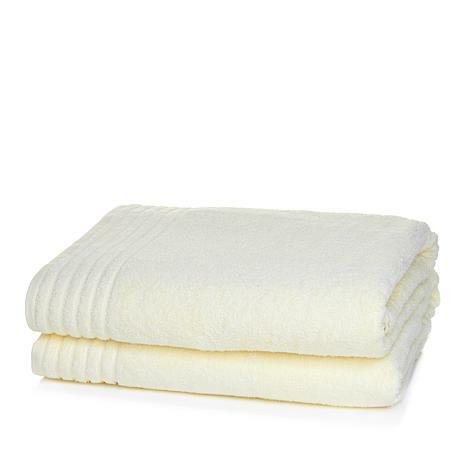 How do you make a good towel better? With an improved fit, of course! Wrap yourself with comfort and ease when you step out of the shower; Joy added a little touch of spandex for a snug fit that stays put. 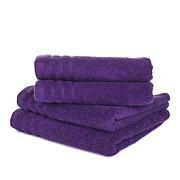 Now you can find everything you want in a towel: lasting durability with bleach and cosmetic resistance. 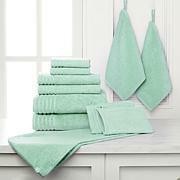 Savor the feel of these pretty, practical towels — thanks, Joy. No ISSUES at all !! 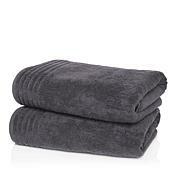 Have ordered my third set of these towels. Have had several washings with no problems of threads coming off or coloring along the dryer. It is normal for new items that are not been washed to have some lint in the lint trap!! This is normal people, stop panicking. Would order these again in a heartbeat. No bleeding..no threads coming loose and they absorb rather nicely. I purchased these in the gray and they're perfect! I washed them when I first received them and they're even better than before. 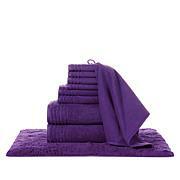 Good affordable towels are hard to come by and I'm glad I made this affordable purchase...Thanks!! Towels are really pretty. Mine were lavender. I did not like the stretch in the towel. Returning. These towels shredded in several areas of the towel. One wash and they were junk. Like many other customers, I am returning. I think Joy's days are over.